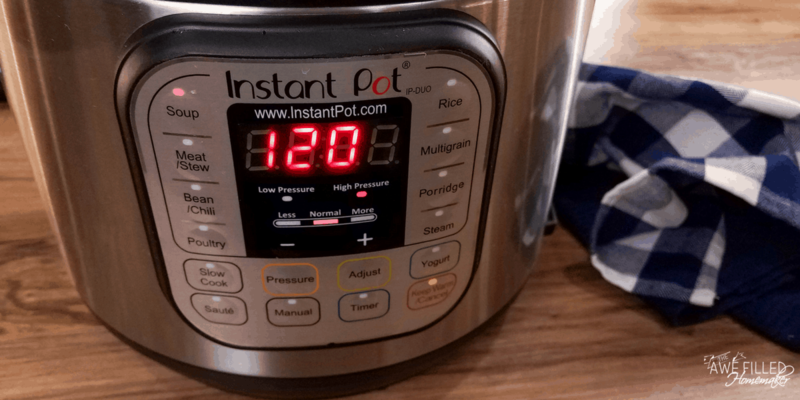 I have so many instant pot recipes that call for broth as I’m sure you do, too. 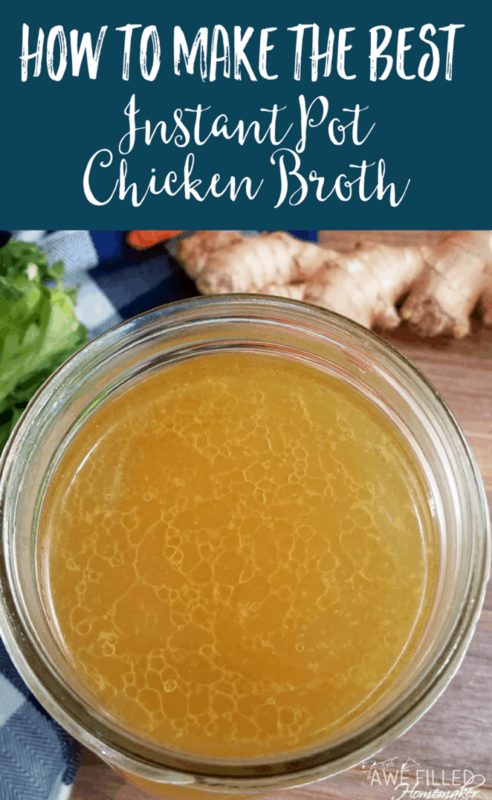 Although I often make my own broth to use in these recipes, I realized I didn’t have one up on this site! Shame on me! 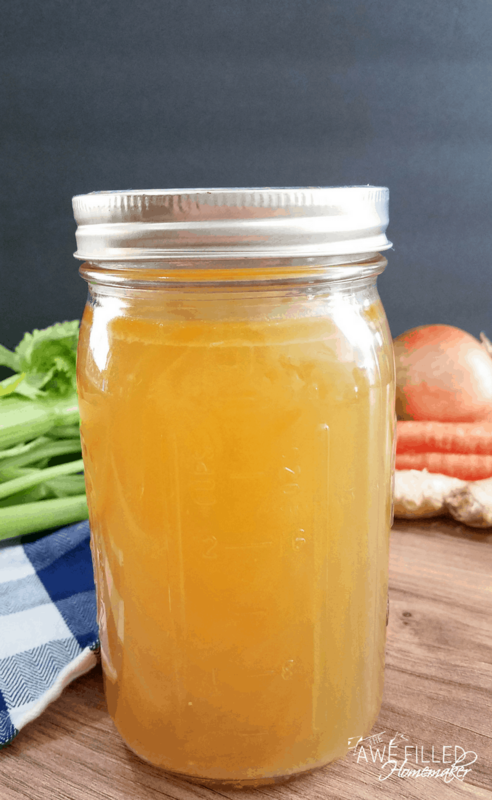 Bone broth is an important ingredient to have on hand for a variety of reasons. Holidays such as Christmas and New Year is quickly approaching. The New Year celebration brings with it resolutions and lifestyle changes. My family is no different, but more on that later. When I had my weight loss surgery I survived on broth. It is a nourishing liquid and it worked out quite well! 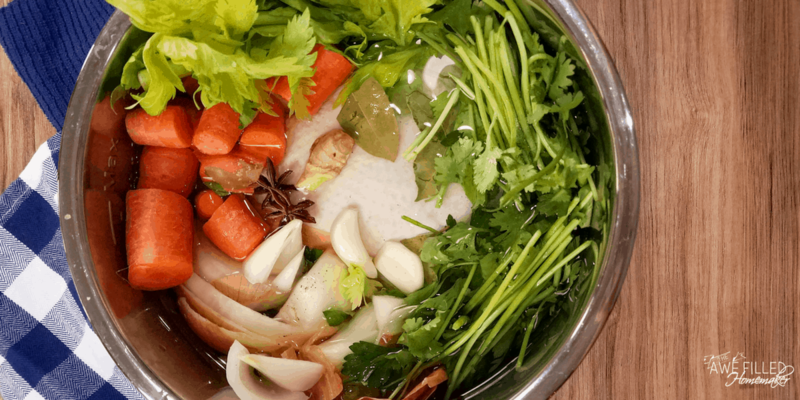 There are also a ton of healing benefits to bone broth. Colds and Bronchitis. We long have known that one of the foods that is most common during cold and flu season, besides elderberries, is broth! Scientifically speaking, it has been proven that broth does in fact help to clear mucus, air ways, help with digestion and healing! It helps boost immunity! This is one reason it was so encouraged after my surgery! Helps to promote weight loss. Another reason this was a staple in my diet after surgery! There are a lot of studies out now on our digestive system and gut issues. 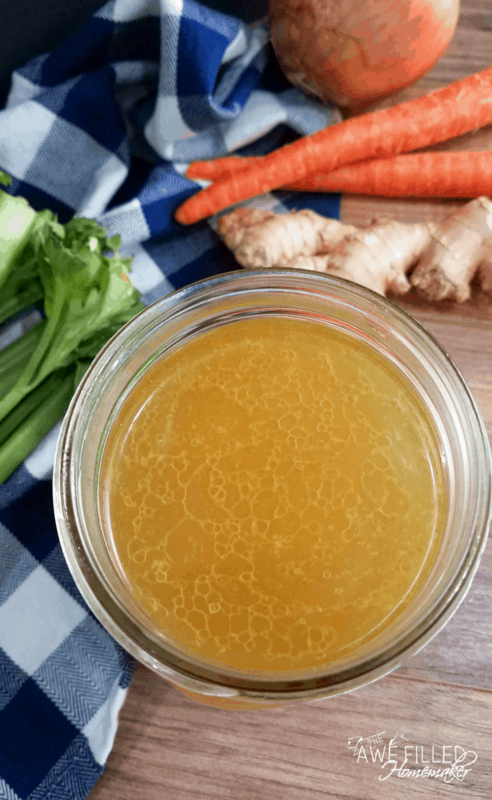 Bone broth helps to heal a leaky gut! It can also be a meal supplement, which again is what I did after surgery. Helps to improve mood. Let’s face it, I was trying to shed 130 pounds and I surely needed my mood boosted! I was an emotional train wreck trying to adjust to a new eating plan and lifestyle. There were times I grieved over the food I couldn’t have. Yet drinking the broth helped me quite a bit. I felt satisfied and the healthy healing properties of the broth itself were just what I needed. Helps improve sleep. Yes! 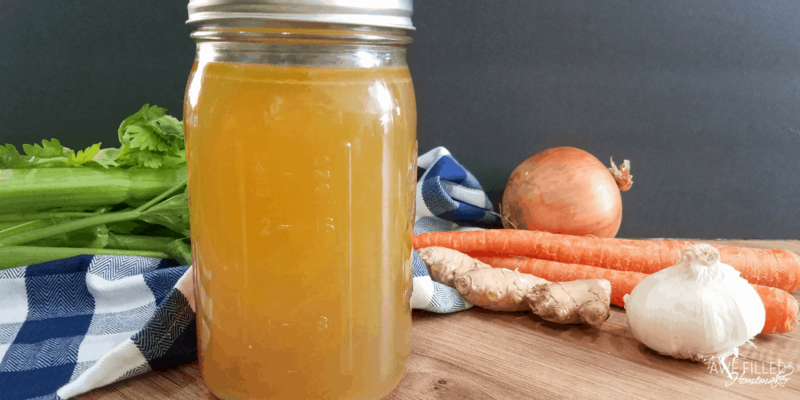 Bone broth may help you get a better night’s sleep. 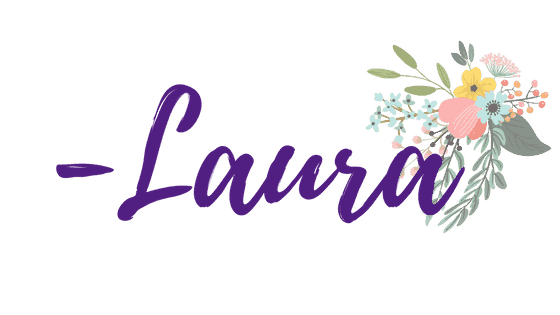 Join: Awesome Recipes on Facebook for more ideas! After Christmas, Clay and I will be shedding a few winter pounds. I am personally participating in a 5 day pouch test and reset from where I had my sleeve surgery. Bone broth made correctly in my Instant Pot is going to be incredibly helpful during this transition. Clay will be adding this into his diet as well! 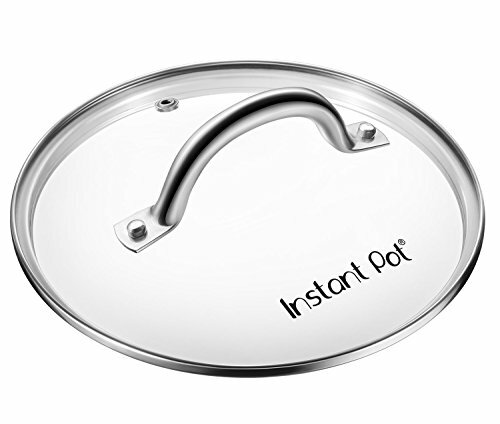 If you don’t have an Instant Pot yet and you are ready to kick off the New Year, New You, then click below here and order you one! I love to get mine from Amazon because they ship so fast! Pajama shopping is my jam! PS: Here’s a list of accessories too! 1) Place the trivet inside the Instant Pot insert and then set the chicken on top of the trivet. 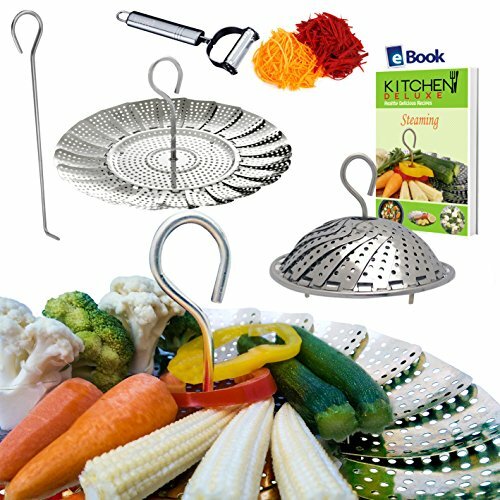 The trivet is not necessary but make it easier to remove the chicken later. 2) Add the rest of the ingredients to the instant pot and pour the water over the chicken. The water will land below the max fill line. Be sure the water does not exceed the max fill line. 3) Close the lid and turn the pressure valve to sealing. Cook the broth for 120 minutes using the poultry setting, you can use manual also if needed. It will take about 30 minutes to come to pressure. Let the pressure release naturally and cool so that it is easy to handle. 4) Remove the chicken from the Instant Pot. The meat will fall off the bone and will be easy to shred. 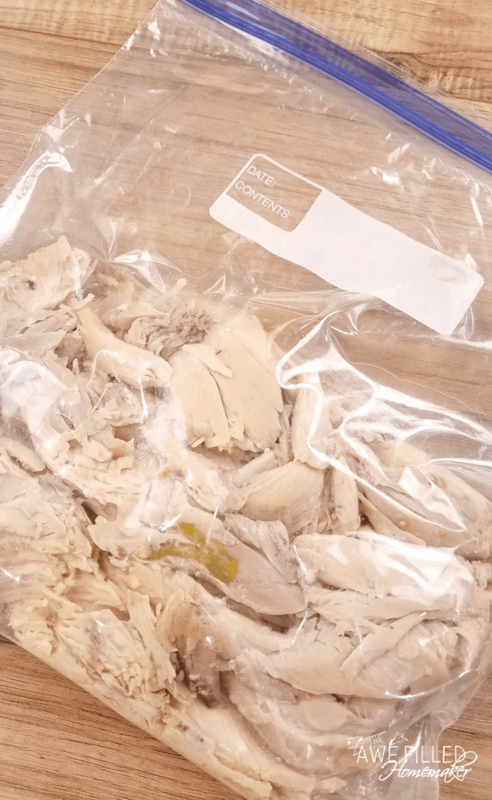 Store the meat in a freezer safe container and use it for easy meals that call for shredded chicken. 5) Using a fine mesh strainer or cheese cloth strain the both into a bowl. 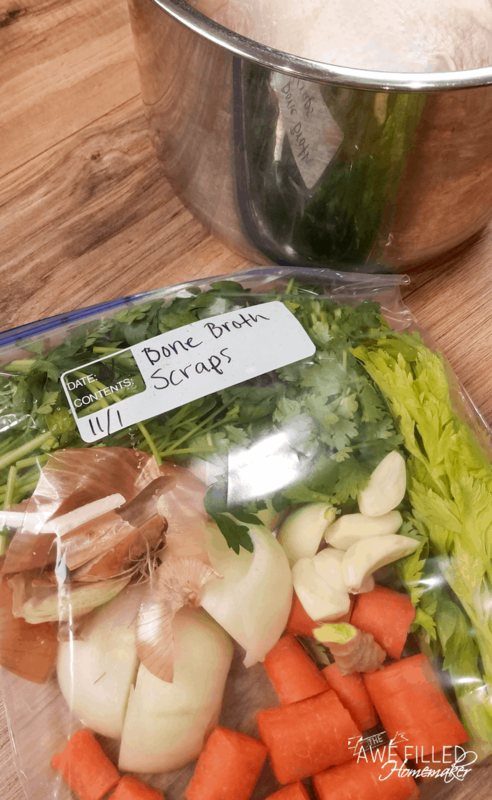 Store the broth in an air tight container for up to 1 week, or freeze some in ice-cube trays and store in a freezer bag. Just defrost as needed. 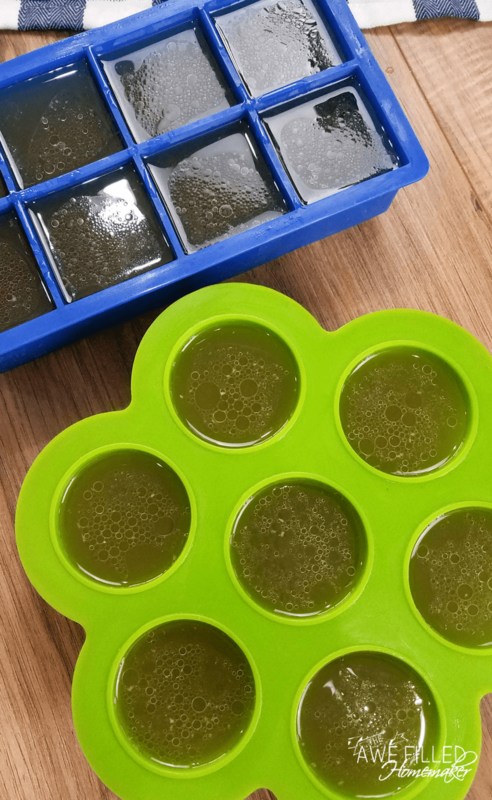 – I used silicone molds to freeze the bone broth and placed the same measured amount in each section. 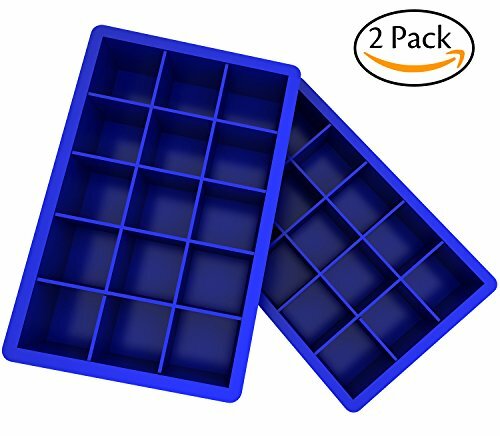 The blue trays held 1/2 cup each square, and the green trays held 1/3 cup each circle. This way if I need 1 cup broth, I can use 2 cubes or 3 circles. – If you hate wasting anything, the vegetables can be blended together to make a vegetable based paste. You can freeze them in smaller ice-cube trays just like the broth and add them to sauces or meals for extra flavor or as hidden vegetables. I love adding it to spaghetti sauce and risotto. – We love using the shredded chicken for quesadillas, tacos, chicken salads, and soups. Don’t Forget to Print The Recipe Out For Later! 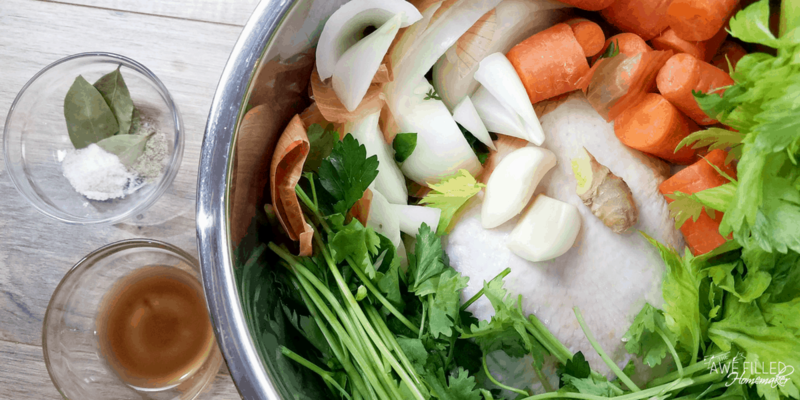 Bone broth is an important ingredient to have on hand for a variety of reasons. Place the trivet inside the Instant Pot insert and then set the chicken on top of the trivet. The trivet is not necessary but make it easier to remove the chicken later. Add the rest of the ingredients to the instant pot and pour the water over the chicken. The water will land below the max fill line. Be sure the water does not exceed the max fill line. Close the lid and turn the pressure valve to sealing. Cook the broth for 120 minutes using the poultry setting, you can use manual also if needed. It will take about 30 minutes to come to pressure. Let the pressure release naturally and cool so that it is easy to handle. 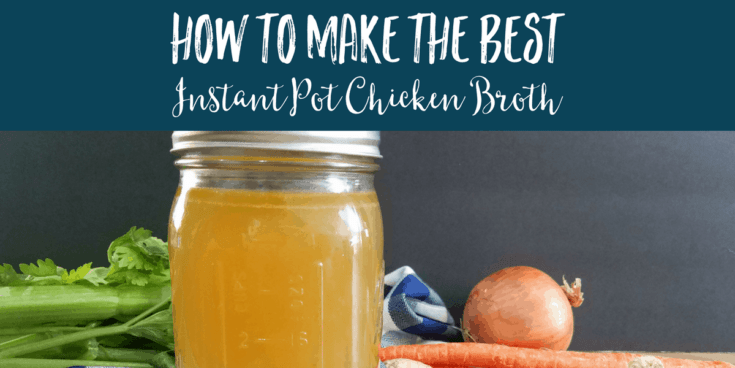 Remove the chicken from the Instant Pot. The meat will fall off the bone and will be easy to shred. Store the meat in a freezer safe container and use it for easy meals that call for shredded chicken. 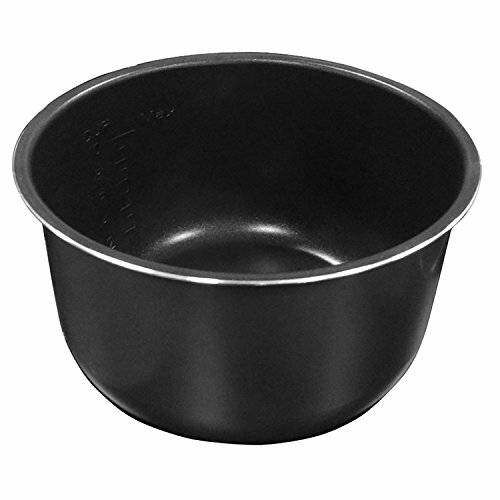 Using a fine mesh strainer or cheese cloth strain the both into a bowl. 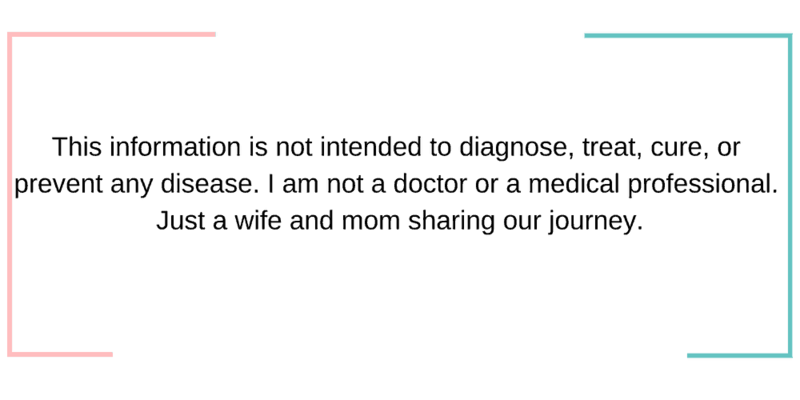 Store the broth in an air tight container for up to 1 week, or freeze some in ice cube trays and store in a freezer bag. Just defrost as needed. 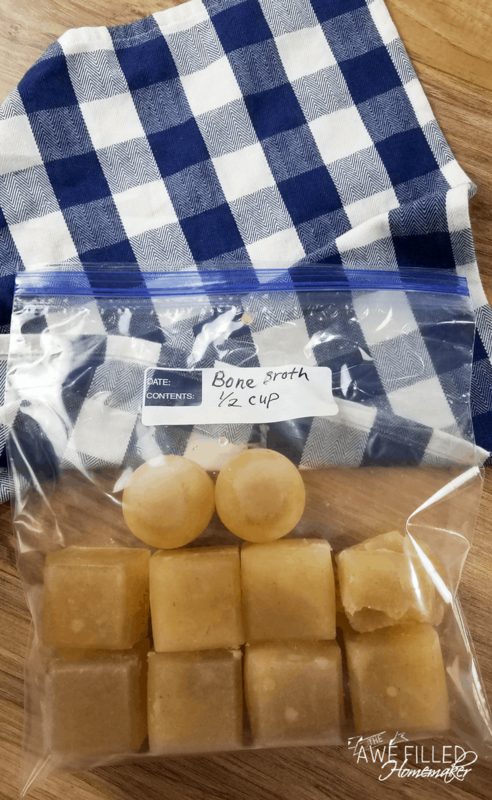 I used silicone molds to freeze the bone broth and placed the same measured amount in each section. 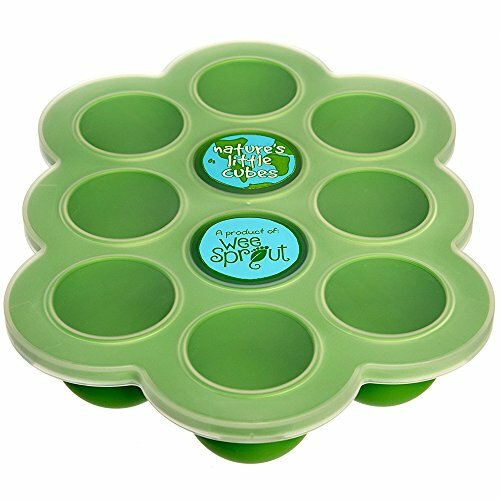 The blue trays held 1/2 cup each square, and the green trays held 1/3 cup each circle. This way if I need 1 cup broth, I can use 2 cubes or 3 circles. - If you hate wasting anything, the vegetables can be blended together to make a vegetable based paste. 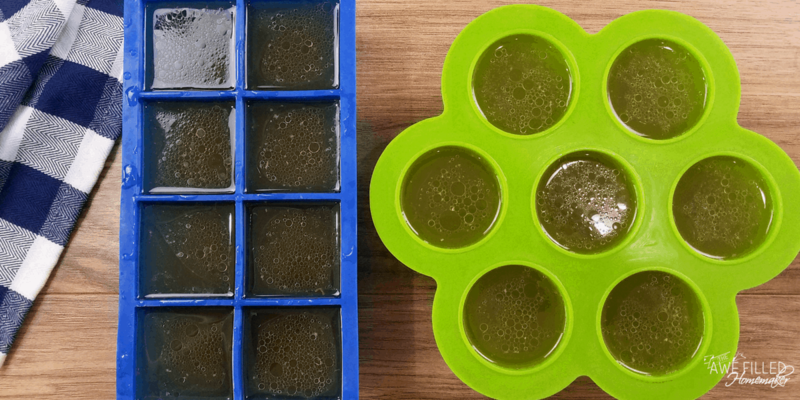 You can freeze them in smaller ice cube trays just like the broth and add them to sauces or meals for extra flavor or as hidden vegetables. I love adding it to spaghetti sauce and risotto. - We love using the shredded chicken for quesadillas, tacos, chicken salads, and soups. 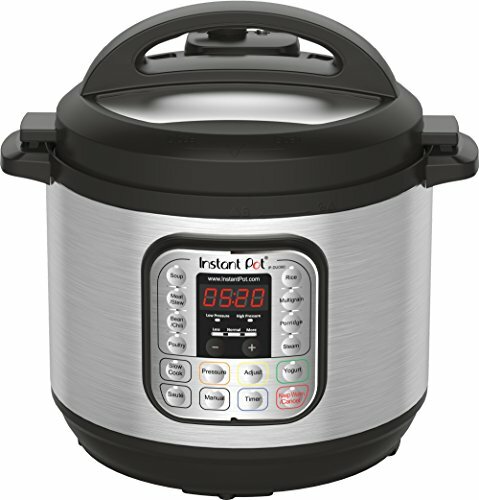 I got a crock pot pressure cooker,does it work the same as an instant pot? I got it for x-mas.